Our biggest terrain set so far – create industrial looking battlefields for your tabletop games! Scale is 28-32mm fits games as Warhammer 40k, Kill Team, Necromunda, Star Wars: Legion and others. 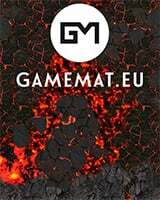 Check out www.gamemat.eu for detail on pricing and ordering and fitting battle mats!